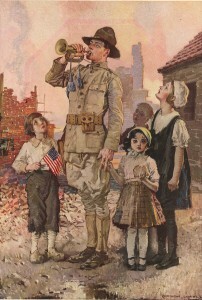 This entry was posted on Tuesday, October 5th, 2010 at 11:42 am	and is filed under Bugle Stories, Buglers Through History, History of Taps, History of the Bugle. You can follow any responses to this entry through the RSS 2.0 feed. You can leave a response, or trackback from your own site. Are some of these scans from bugle manuscripts or books?